A gift of this size is not uncommon among Dartmouth’s peer institutions, Taylor said. “During a capsule campaign like the one the Hood is in, you need these kinds of lead gifts that inspire others to give,” he said. Currently, the Hood holds the fifth largest art collection among colleges in the U.S., Taylor said, with 65,000 works. Yet it can only showcase less than 1 percent at any given time, he said. After the renovations, Taylor hopes to nudge the figure to 2 percent. “What that means is we’ll still be committed to rotating collections, and I think that’s good because it means for a visitor coming in there will always be something for them to see,” Taylor said. With three additional classrooms, he said, the Hood can invite more departments and professors to use its collection as a resource for courses and provide experiential teaching opportunities. At this point, the Hood’s only classroom, the Bernstein Study-Storage Center, can only accommodate 18 students at a time. Art history professor Mary Coffey said that the room’s small size limits the number of objects that can be used to teach and requires larger classes to be broken up. “It’s a game changer for us,” Taylor said. Art history professor Marlene Heck said she looks forward to showing more students “art up close” at the Hood. “When I show an image [in a PowerPoint], that’s an abstract thing, but when you stand in front of it and see the work of somebody who has created this for us, it can be deeply moving,” she said. The fact that the Hood aspires to be a leading teaching museum but is not currently meeting demand likely motivated the anonymous donor to give, Taylor said. College President Phil Hanlon’s vision for Dartmouth as a space for active and experiential learning set a “wonderful prospect” for the donors, Taylor said. Taylor said he hopes to have 50 percent of the $50 million goal in the bank and 85 percent pledged by April 2016, when the renovations are expected to begin. The renovated Hood should open by fall 2018. AVA Gallery executive director Bente Torjusen said the Hood’s transformation illustrates the College’s commitment to the arts and arts education. The Hood and the AVA Gallery, located in Lebanon, have collaborated on exhibitions in the past. 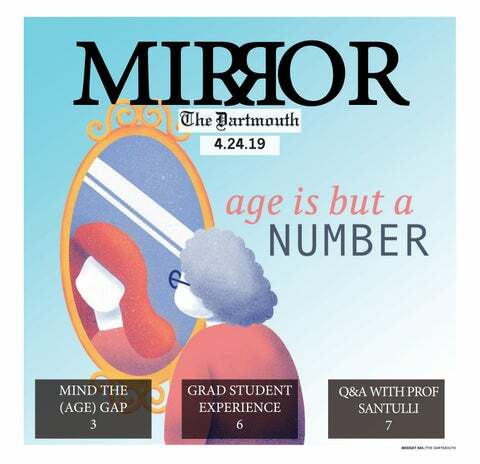 “[It is important] that the Hood continues to expand upon regional educational opportunities that provide both for Dartmouth students and for the community of the Upper Valley,” she said. Architectural changes will also make the Hood more energy efficient, Taylor said. Tod Williams Billie Tsien Architects, a New York firm, is contracted for the project. The entrance to the Hood will become more prominent through the physical expansion as well, as construction will span over the current courtyard to bring it closer to East Wheelock Street. If full funding is secured, the overall renovations will expand the Hood’s 39,000-square-foot building by 15,000 feet.